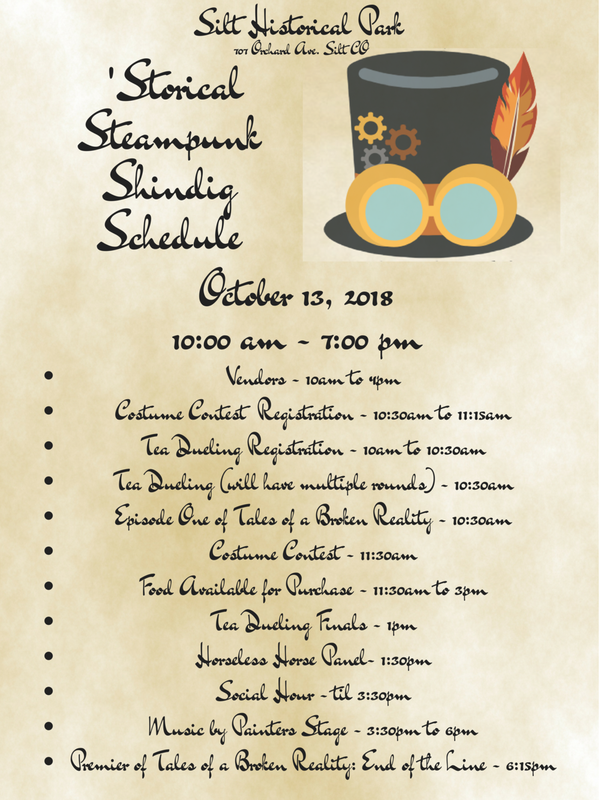 For the first time ever the Silt Historical Park is throwing a ‘Storical Steampunk Shindig! For those of you that don’t know what Steampunk is, it is a genre of science fiction that has a historical setting and typically features steam-powered machinery rather than advanced technology. Please note that the times of all activities are subject to change and may become fluid as the day progresses! While costumes are not required we would love to see your interpretation of the melding of history and science fiction. This event is sponsored by Tesseract Comics and Games and Misty’s Coffee Shop .